A week ago I received a phone call from an old mate from high school. 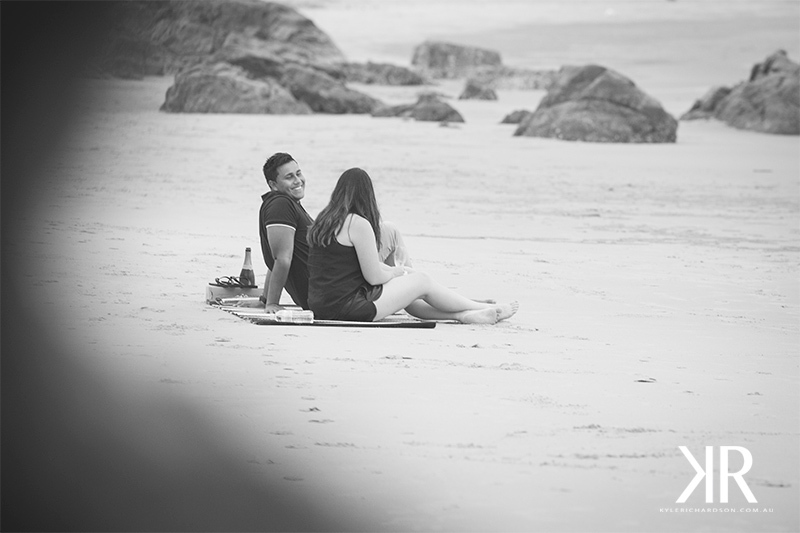 Arnie told me he was going to propose to Alicia on Coolum Beach and if I could come along to capture the moment. I instantly said yes. Several messages and undercover phone calls were made to plan the afternoon, whilst keeping it a surprise for Alicia. Arnie planned a relaxing afternoon on the beach to watch the sunset, having both been flat out with work. Arnie managed to escape down to the beach first so that we could quickly catch up and discuss a plan of attack. I went to hide and Arnie laid out the beach rug, readied the champagne glasses and nervously waited in anticipation. Alicia joined shortly after and they shared a glass of champagne. Before she knew it Arnie was down on one knee and the rest is history. 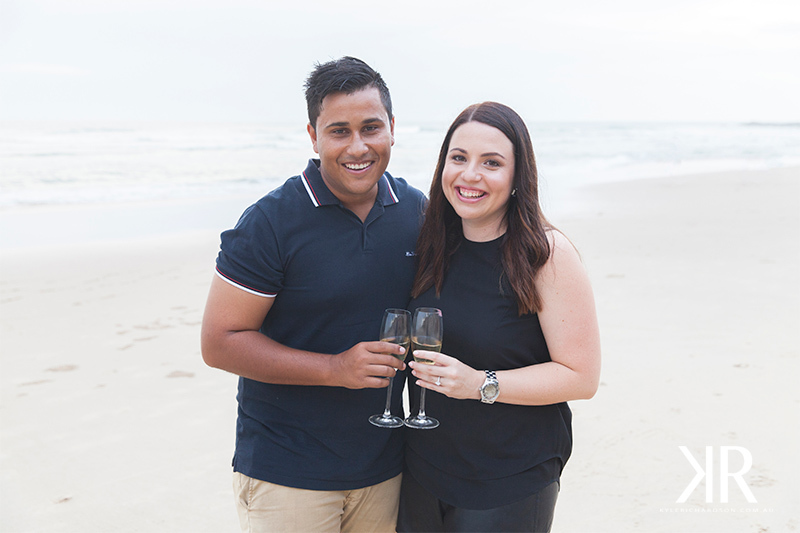 The remainder of the afternoon was spent having a quick portrait session to celebrate the worlds newest engaged couple. The rain clouds cleared up around the sunshine coast and we were also treated to an amazing sunset!